Under the BS-AC training scheme, branch divers train for qualifications that allow them to progress through the diving grade system. As a new trainee, you’ll work towards the Ocean Diver grade, diving under the care of more experienced divers. 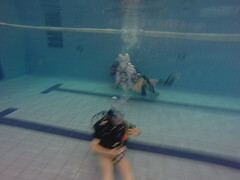 The next grade is Sports Diver, at which you can dive with similarly qualified divers. 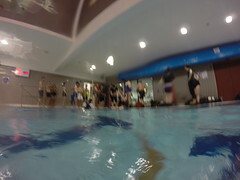 From there, you progress to Dive Leader, at which point you can lead dives with trainees and Ocean divers. The next step is Advanced Diver, allowing you take responsibility for a group of divers. All four grades above are taught and examined in DUSAC. 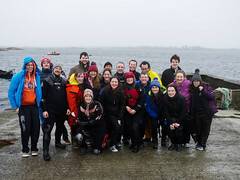 BS-AC’s ultimate diving qualification – First Class Diver – is taught and examined at a national level.